Dry, dead skin is never pretty, especially if it refuses to peel and reveal fresh skin underneath. The good news is that you can help speed up the peeling process by using gentle exfoliating and moisturizing products. The key is to do so in stages as to not take off too much skin before it's ready. Once your dead skin begins to peel, you can easily slough it off and have smoother skin days ahead. Take a long, hot shower. This will dry out the skin even more and encourage the dry skin to come to the surface and flake. The hot steam removes the natural oils quickly and encourages peeling. 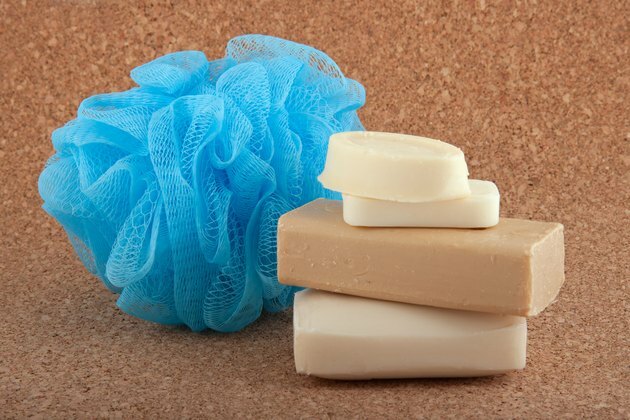 Pour a dollop of exfoliating scrub onto a wet wash cloth. Gently rub the wash cloth in small circles over the areas you wish would peel. When exfoliating the face, use a gentle upward, circular motion with natural ingredients like jojoba beads, yogurt and sugar. An electric exfoliating brush also helps expedite the peeling process. Use a hydrating moisturizer that also features glycolic acid. According to Dr. Mehmet Oz, glycolic acid penetrates the upper layer of the skin and weakens the dead skin cells so they'll slough off easier. Underneath, you'll find fresh, evenly pigmented skin. Refrain from peeling your skin off with your fingertips. This can lead to infection and rip off skin before it's ready.